Silvermere lake is famous for its historic fish. There is an abundance of Roach, Pike and Perch present but the real stars of the lake are the Carp. 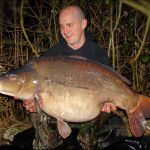 All affectionately named and reaching weights of 45lb the Carp are renowned to offer a challenge to the dedicated specimen hunter. 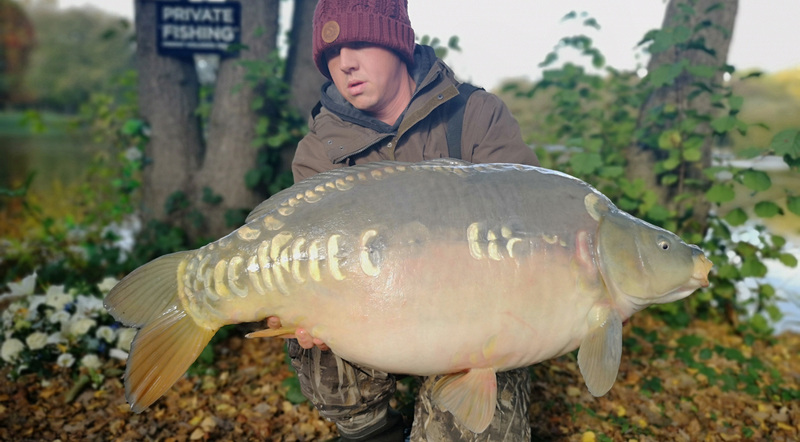 After a hard few winters and a number of fish not able to pull through the freezing temperatures we have introduced more Carp to the lake which have now been captured over the 30lb mark. Silvermere Lake has been fished for a number of years. In the early 1970s the lake was fished by a privately run fishing club, since then Silvermere now supply a fishing membership that anglers can subscribe to. There are lots of natural foods situated in the lake that the fish feed on such as blood worm and swan muscle. In a bid to oxygenate the water in the summer and to stop the lake freezing in the winter we have installed two fountains on the lake. We are pleased to help the fishing and we hope you’ll agree that it adds to the picturesque landscape. As well as being naturally exciting backgrdop for golfers, Silvermere Lake has an interesting and varied history. 1n 1939 Barnes Wallis started his research into targeting the enemy’s power supplies, thus destroying their ability to wage war. He famously chose Silvermere Lake as the ideal location for his first catapult experiments in an effort to find alternative ways of placing the required amount of explosives adjacent to a dam well. More experiments to place later in May 1942, securing Silvermere Lake as a place of historical interest. Barnes Wallis and the intensely brace Dam buster Squadron were instrumental in the allied victory. However it’s nice to know that our very own Silvermere Lake had its own contribution to make towards the war effort.